I stumbled across a FaceBook page called Cover It Designs!. The owner, Arijana was running a competition to win a cover design amongst other things. I’m habitually unlucky, but having checked out her designs on the page and on her website I made a snap decision that she was the cover designer for me. I set to work having realised I was looking for someone very specific. I loved the rest of the cover, so I searched for a girl who would fit with the image in my mind as well the rest of the cover. Eventually, I found the right image. She was beautiful, no doubt, but she needed work. Poor Arijana spent hours fiddling with the image, responding to each request, faultlessly sculpting the female’s image until it was one that was good enough to be called ‘Teagan’. 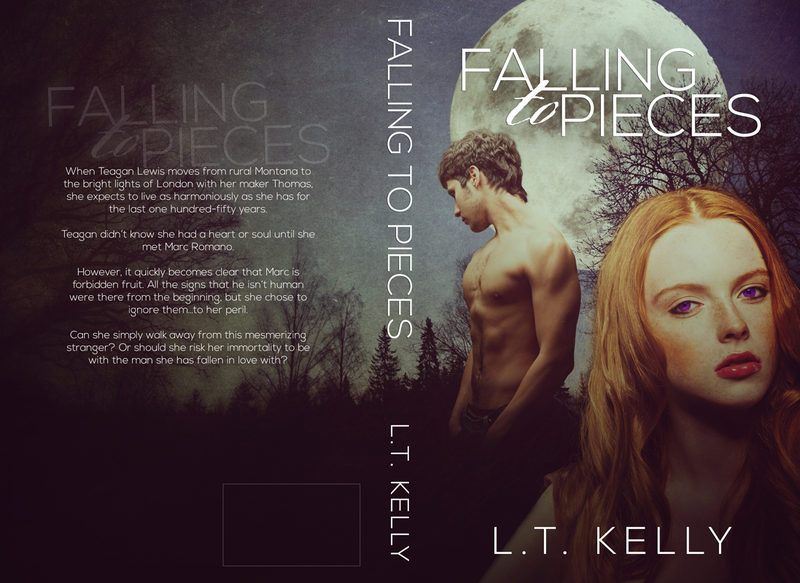 The projected release date for ‘Falling to Pieces’ is the 15th of August 2013. I had the privledge to read this book before it came out, i am telling you now if you like vampires, love, and adventure, you will need to read this book….. i could not put it down..